The family of a woman who died after falling down a laundry chute at a Regina hotel in 2015 says they still have more questions than answers after meeting with the Regina Police Service. Delores Stevenson, Nadine Machiskinic’s aunt, brought a tipi to the legislative building on Wednesday to honour her niece’s memory. Machiskinic, 29, was found at the bottom of the laundry chute in the Delta Hotel. She later died in hospital. 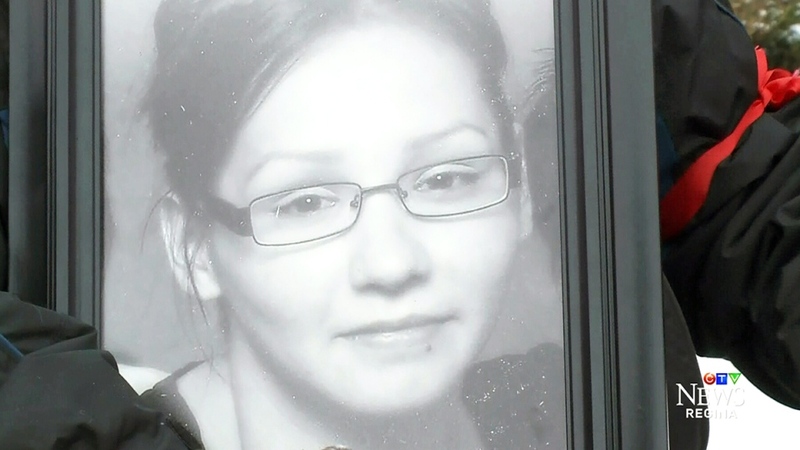 Last week, Regina police said an RCMP review into Machiskinic’s death was complete. Chief Evan Bray met with Machiskinic’s family on Tuesday to share the findings. However, Stevenson says the full report on the review won’t be made public. Stevenson says she feels her family is at the same place they were two years ago when the RCMP probe began. Machiskinic’s cause of death was originally ruled as undetermined, then changed to accidental. 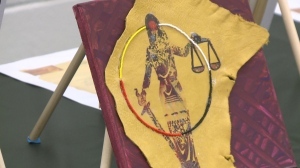 A jury at a coroner’s inquest last year changed the ruling back to undetermined. Stevenson says she came to the legislature on Wednesday to continue her fight for justice in her niece’s death. She says she went into the meeting with Bray looking to move forward. Regina police say Bray hasn’t decided yet whether or not to make the full review public. He will speak to the media, but a date for when that will happen hasn't been set. Nadine Machiskinic is seen in this undated file photo. 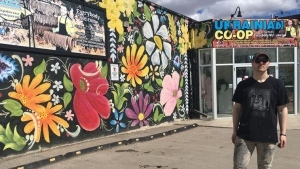 The artist known as “Jez” has established his work on one of Regina’s most signature shops: the Ukrainian Co-Op.